Here, in no certain order, gleaned over many years and, by my rough estimate 2,546 storytimes, my tips for choosing good books. Choose books that you like and are comfortable reading. Don’t force yourself to read a book that you can’t stand. It makes for a painfully awkward experience for you as the reader. Let me tell you, you do not want to be sitting in front of a bunch of kids and parents working your way through a book you don’t like wishing it were over. You won’t be able to read that book fast enough! One little caveat: do step out of your comfort zone and try something different from your normal. 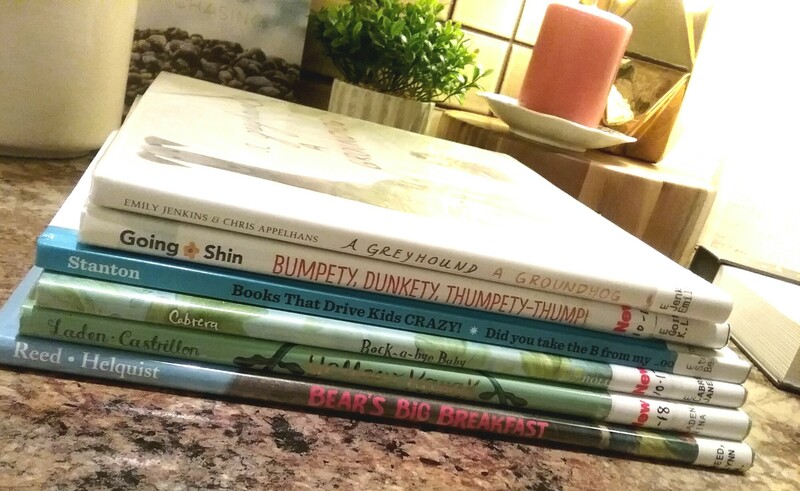 Choose a book by an author you’ve never read, pick a book in a different format (Wordless books in storytime? Yes!) or a genre/type you don’t normally read. Try new things. That’s how you’ll find the books you love and the ones you don’t. Recent favorites: Lion Lessons and Hooray for Hat! 2. Choose books with great art. I feel like this one is obvious. And, of course, there are exceptions (Book With No Pictures). Are the pictures colorful, clear and easy to see? Is it easy to figure out what’s happening in the illustrations or is it cluttered and busy? Do the illustrations match the text? This is one kids will notice and ask questions about. It may confuse them. This can open the door for good discussion about why an illustrator made the choices they did; however, you don’t want kids being confused about a story every time you read. 3. 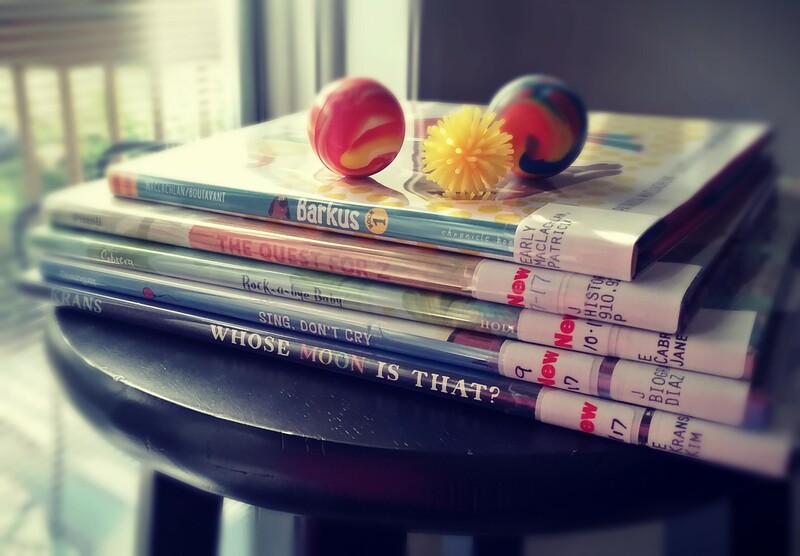 Choose books that rhyme or have a steady rhythm. 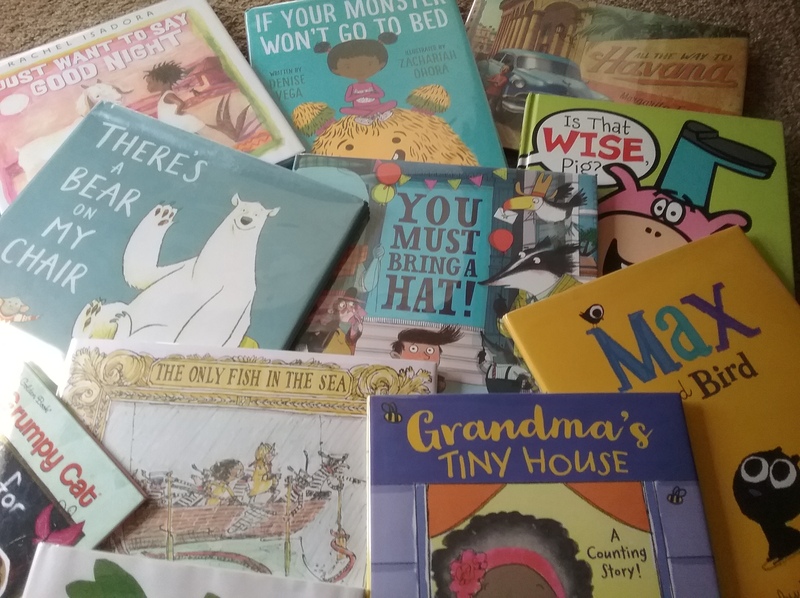 When you don’t know what else to do, when you’re stumped for themes or when you’re reading to a new group of children, books with rhythm and rhyme are the way to go. These are going to work for you 98.7% of the time guaranteed. Even if the story isn’t all that good kids still like a good rhyme. Read them before-hand so you know where the beats are, how it flows and where the rhyme breaks up. Suggestions: 10 Little Ninjas, What’s an Apple, Rattletrap Car-an oldie but a goodie! 4. Choose books without large chunks of text. Generally, they don’t work for the storytime audience because they’re too long and you will lose them. If it works to shorten, feel free to do that. Nothing wrong with that. Otherwise, save them for the times you’re reading to school-aged kids who will understand and appreciate them. 5. Choose books that have an interactive element. That interactive element could come from the format as it does with Press Here by Hervé Tullet. It may come from the story itself. Is there a word or phrase repeated throughout the story? Is the book a song that you could sing? Are there action words of things you could do while reading? If the answer to any of those questions was yes, then you have an interactive story! Once you understand this, nearly every book can be interactive. Use it to your advantage. 6. Choose books with an engaging story. Some books aren’t a story as much as they’re a recitation or a list of information. There have been books that I wanted to like but when I read them they flopped. What those books had in common was that they lacked a story. They’re non-stories. Story structure matters even in picture books. A good story has a beginning, middle and end. Something has to happen even in picture books! Kids are savvy. While they probably can’t tell you all that, they will notice when those elements are missing and then you’re back to awkward read aloud. See Vincent Paints His House for an example of a non-story. I’ve read that book several times now and it flopped with every single group. 7. Choose books that are well-suited to group reading. Some books are better suited to one-on-one readings like You Belong Here. Some work better in a group setting like Bark George. Read alouds combine a number of the elements mentioned above. Sometimes it’s hard to determine whether a book works as a read aloud. If you’re unsure, read it aloud to yourself or a coworker. Usually, if it doesn’t work as a read aloud that is going to become apparent right away. Check out my Best of the Year list here. Read on and prosper, Friends! 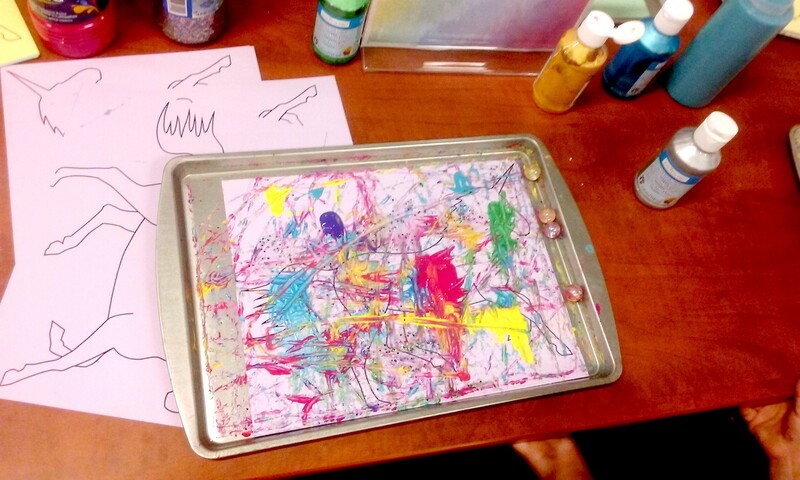 What We Did in Storytime: Unicorns! We’re taking August off from storytimes so as one last hurrah we did a unicorn theme. 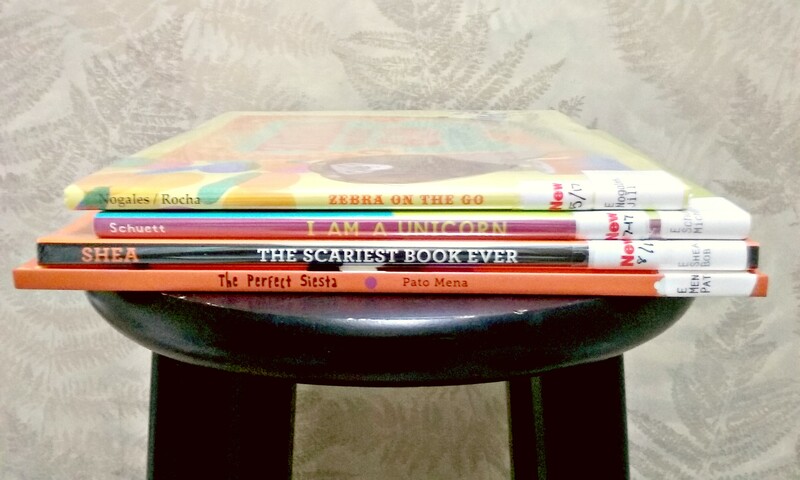 There are some really cute, readable unicorn books out there! We talked about the letter U and other things that start with that letter. Here’s what else we did…..
My favorite of the bunch. Hilarious and very readable. 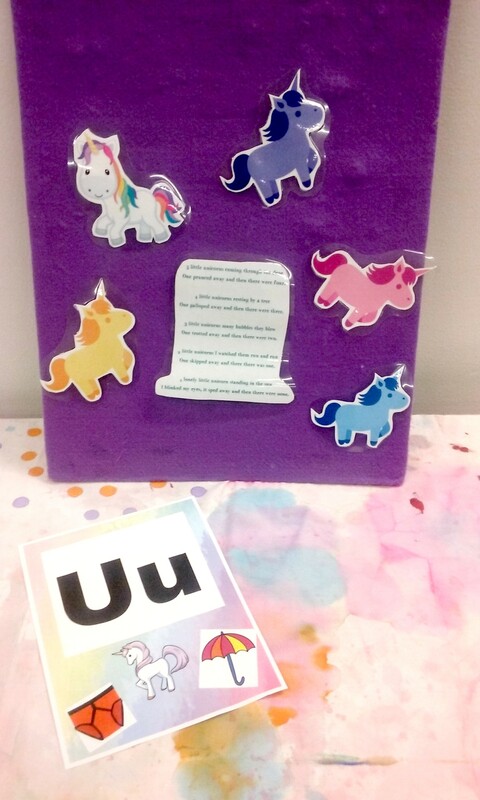 We made unicorns based on this craft I saw on Pinterest. 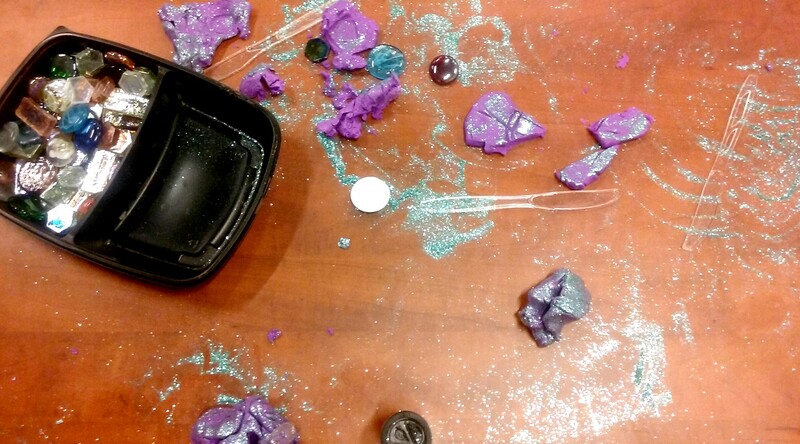 A few parents freaked out about the mess of glitter. But you can’t do a unicorn storytime and not have glitter! Unicorns = glitter! I ain’t afraid of a mess! 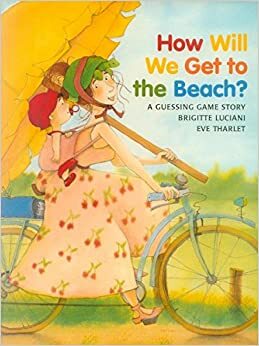 Earlier this summer, as I was putting together a summer/beach-themed booklist for my library’s website I thought of one of my all-time favorite beach picture books, How Will We Get to the Beach?. It’s apparently, out of print because my library no longer owns it and isn’t able to get a copy. Ugh. Why do good books have to go out of print?! With sweet illustrations and a story that invited kids to guess what was missing, it was a great, no fail read aloud. Read on for a few of my other favorites that sadly, are no longer available. If any of you have any of these books, I’d love to know! When I found out this one was out of print I was saddened. I was bummed. 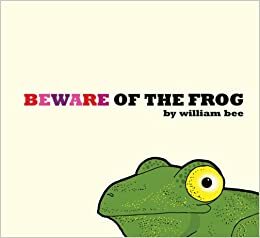 This was basically a permanent fixture in my read aloud rotation because it was so fun to read, audiences loved it and it always, ALWAYS worked! Always! I read it to everybody! Now I’ve got a whole new class of storytimers that will not know it. 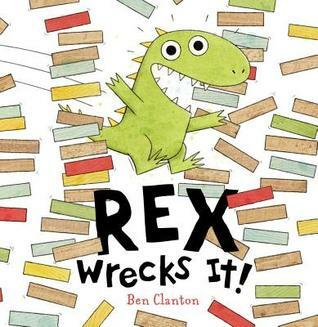 In the ‘something gets eaten’ genre this book is second only to….. Without a doubt the best title in the ‘something gets eaten’ niche which is my favorite of picture book niches. My favorite memory of this book happened a few years ago with a kindergarten class that was pretty evenly split between boys and girls. As I neared the end I asked them if they wanted me to keep reading or stop where I was. “Keep reading!” they said. When I finished the boys’ response was, “Cool!” All the girls had a look of horror mixed with disgust. I read it in a storytime and even parents were shocked. One said to me, “I hadn’t taught my daughter about the circle of life yet!” You’re welcome. I love when people have a strong reaction to a book. I recently had to withdraw the last copy in the library system due to damage. I couldn’t bear to part with it. It now lives in our storytime collection. A story about a cute, little alligator who wakes up one day feeling bitey. Hey, who hasn’t? Oh, just me? Anyway, he goes around biting things until he learns his lesson. 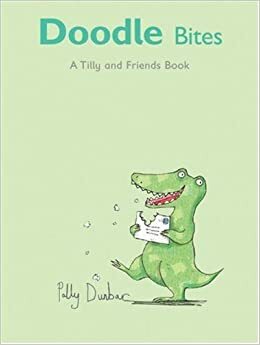 I’ve gotten over the fact that this book is unavailable but I still sometimes feel bitey. Do you have any favorites that are out of print? 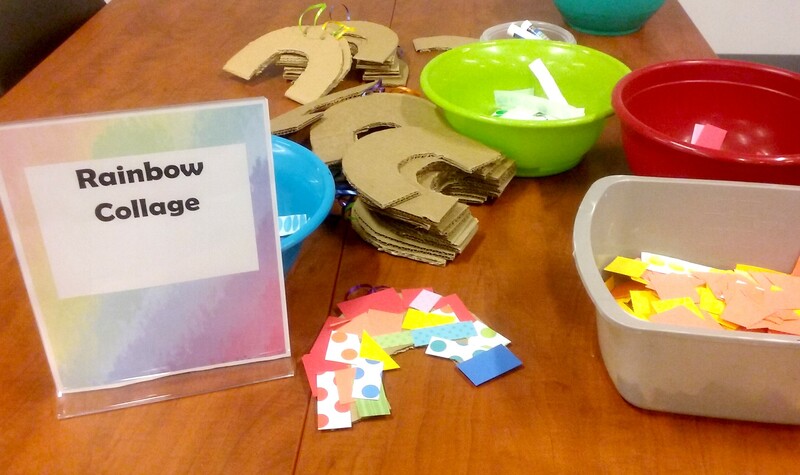 It was our first week of summer storytimes and we had a full house and loads of fun! Kids, even the older ones, seemed to have a good time with this theme. Looking for more books? 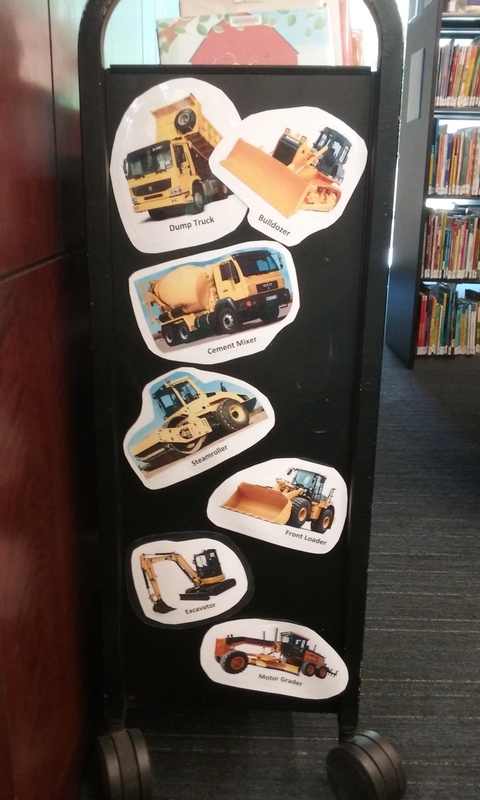 Check out my Construction/Building booklist. 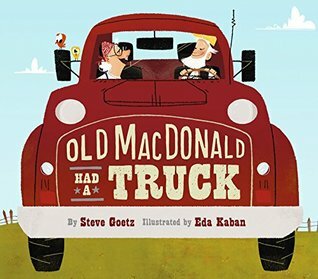 I’m going to try to include a visual element in every storytime so I made a magnet set of the vehicles in “Macdonald” and plopped them on a magnet board as I read the story. 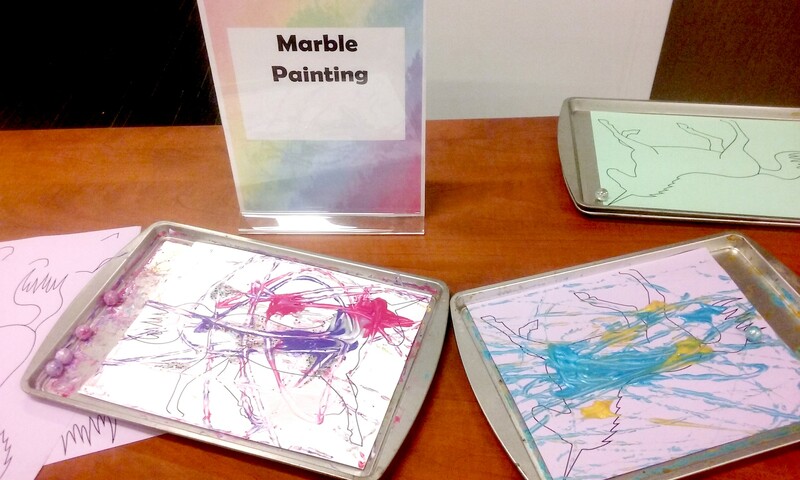 After stories, parents and kids talked about and played with the pieces again. Double bonus! The most popular stations were the craft stick houses on foam core and the bean table. If I were doing it again I’d do a second table for the craft stick houses and make an even longer streamer/bubble wrap tunnel. 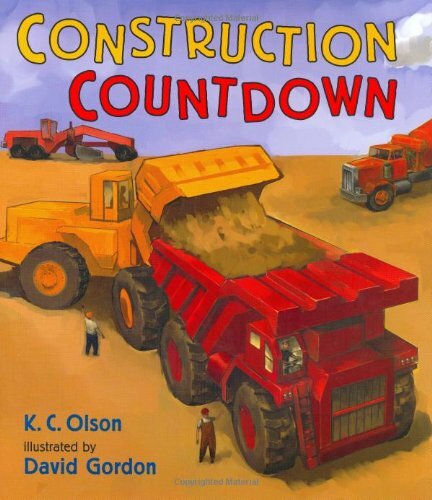 Got a favorite construction-themed readaloud or activity? Share it in the comments! Until next time, Book Lovers!